Join us as we celebrate the wonders of the winter season with a day filled with family fun, yummy food, shopping, crafts for the kids and charity raffles. Come say Hi to Santa from 1-3 pm! This event is fee and open to the public. 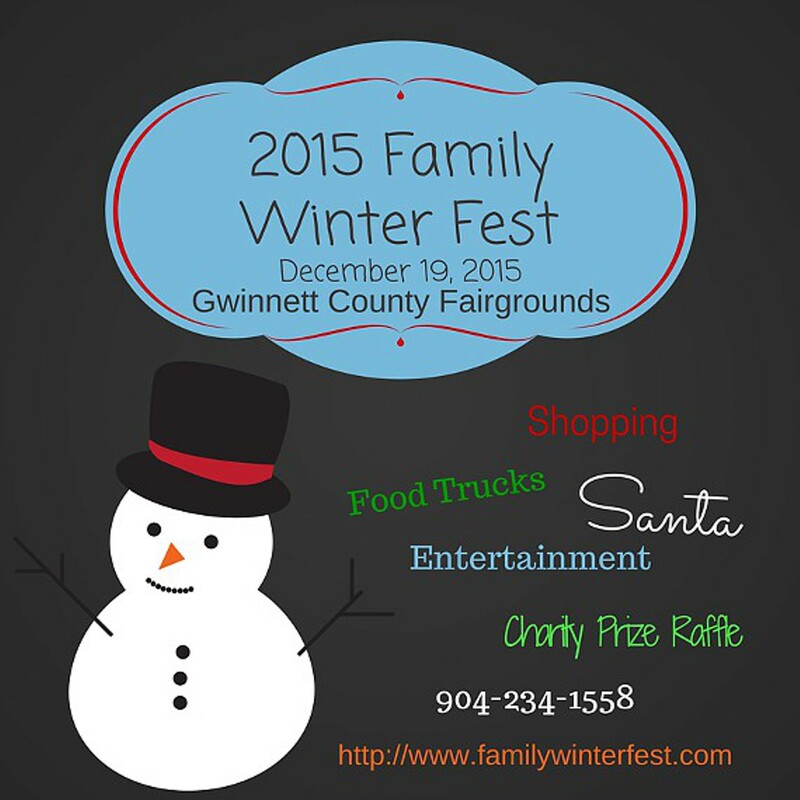 In lieu of an entrance fee, we ask that each person bring a donation to support Family Promise Gwinnett. Please see the Supplies Needed page for ideas. Family Winter Fest is a family focused event to both celebrate the season and raise awareness and funds to support the National Breast Cancer Foundation. A charity raffle, including prizes from Zoo Atlanta, The Cheesecake Factory, and Stampin’ Up, will be held to raise funds. All proceeds from raffle sales will go directly to NBCF.